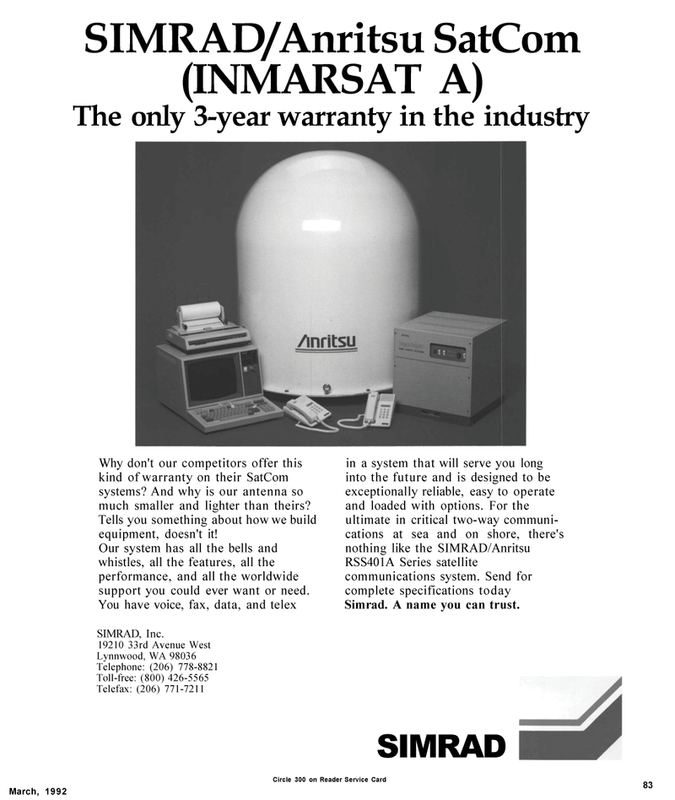 Why don't our competitors offer this kind of warranty on their SatCom systems? And why is our antenna so much smaller and lighter than theirs? Tells you something about how we build equipment, doesn't it! Our system has all the bells and whistles, all the features, all the performance, and all the worldwide support you could ever want or need. Simrad. A name you can trust.